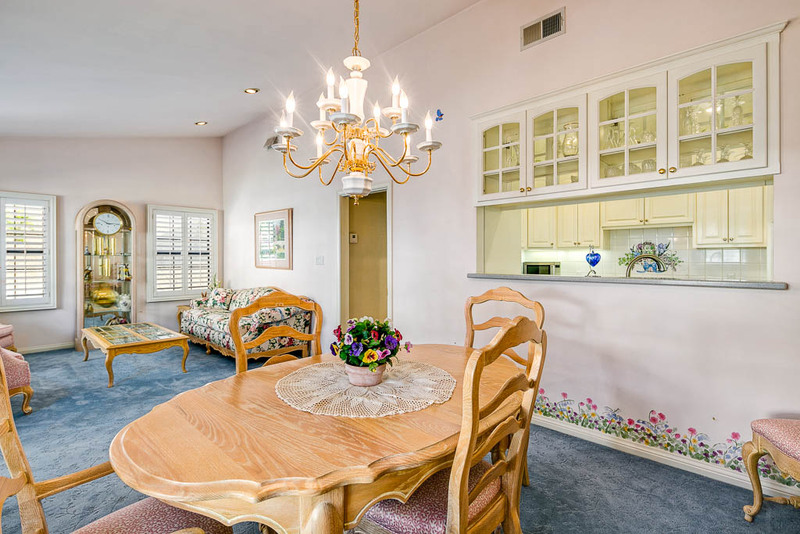 Why wait to live the good life when you can have it now with this five star resort posing as an updated traditional home! 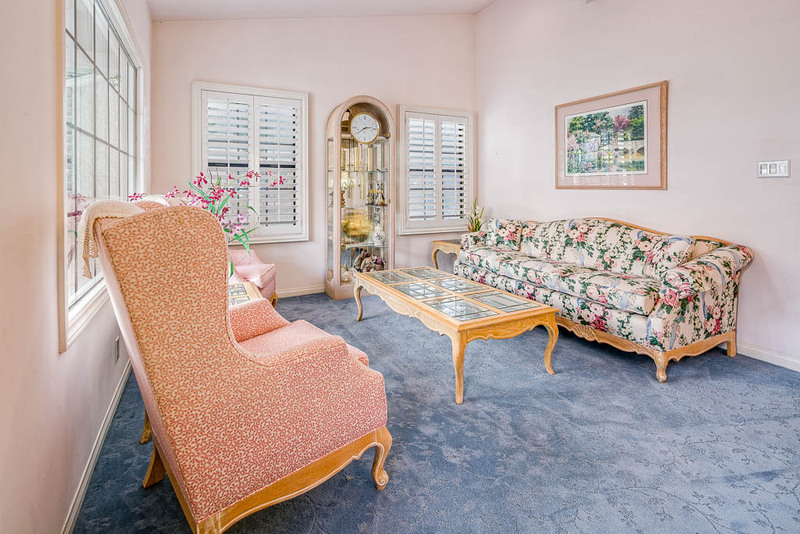 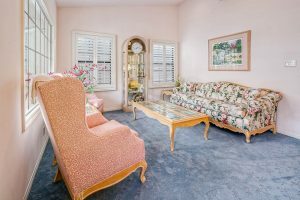 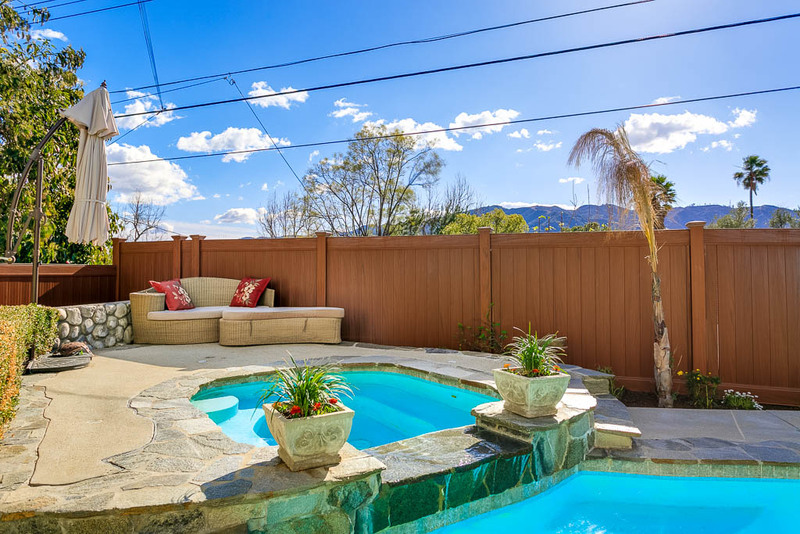 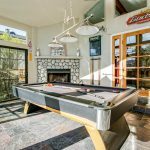 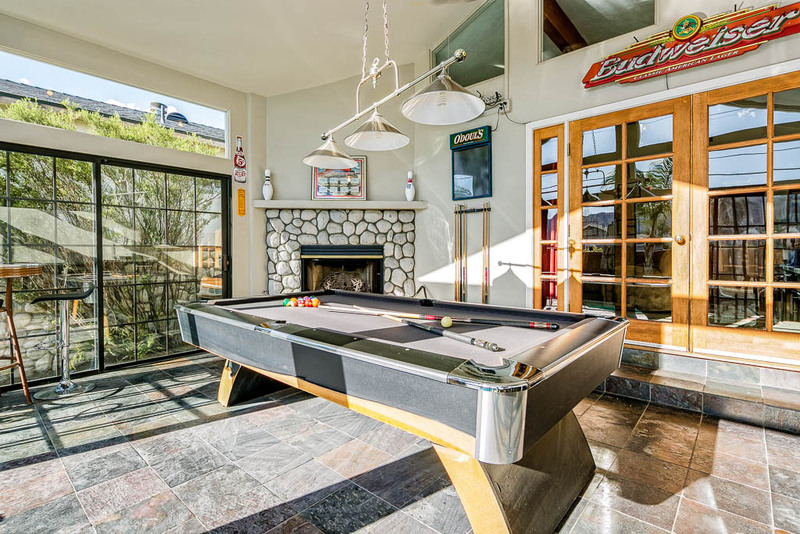 Amenities include outdoor pool and spa,views of valley, hills and mountains, game room with fireplace, spacious family room, gourmet kitchen, spa tub in master bathroom. 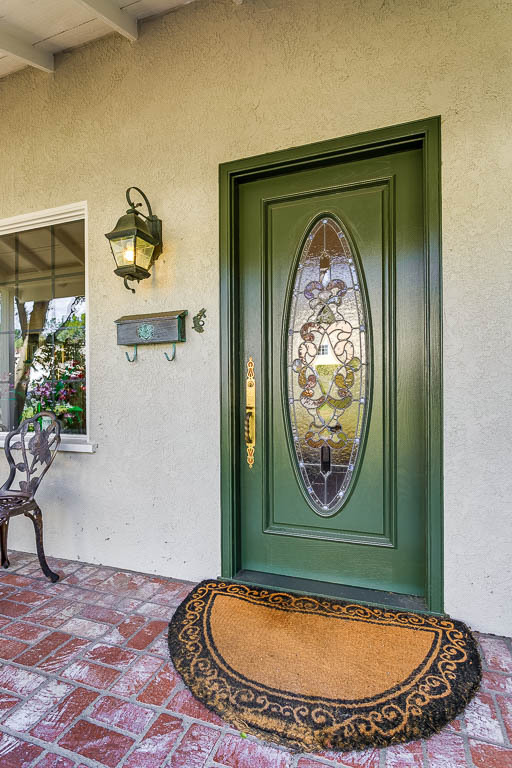 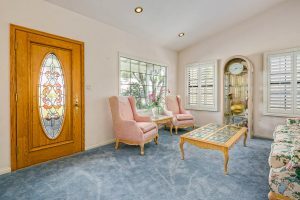 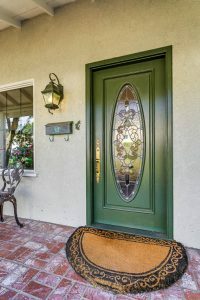 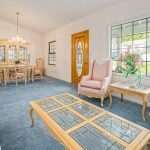 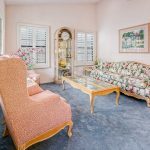 The front has eye catching curb appeal: gently curving walkway, brick porch with swing, flower beds, lush trees, custom leaded glass front door. 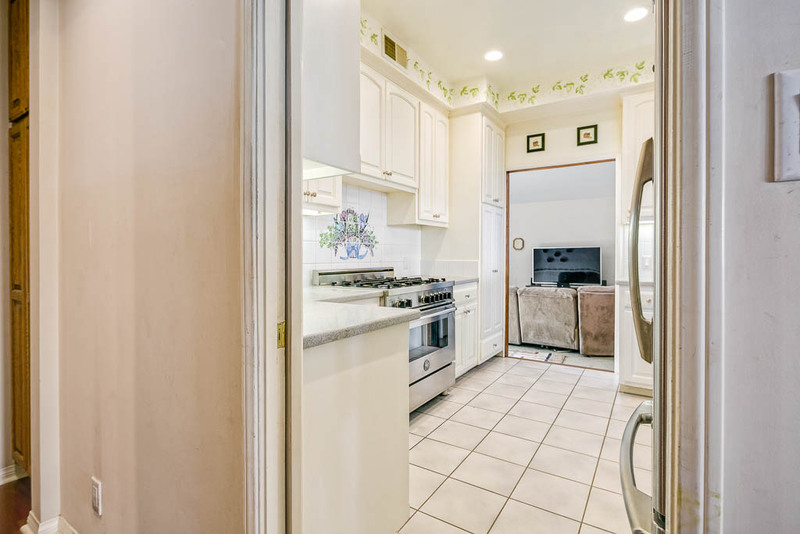 Inside gets better. 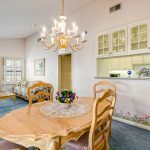 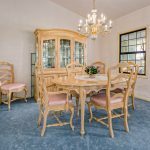 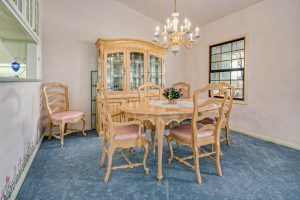 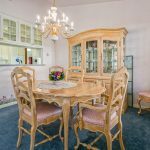 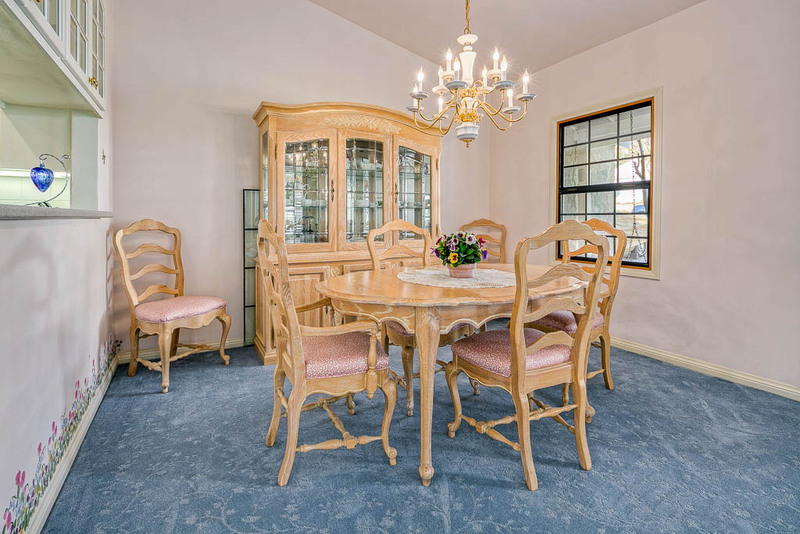 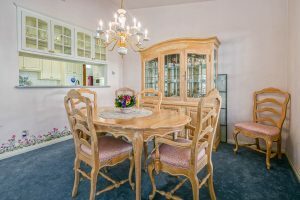 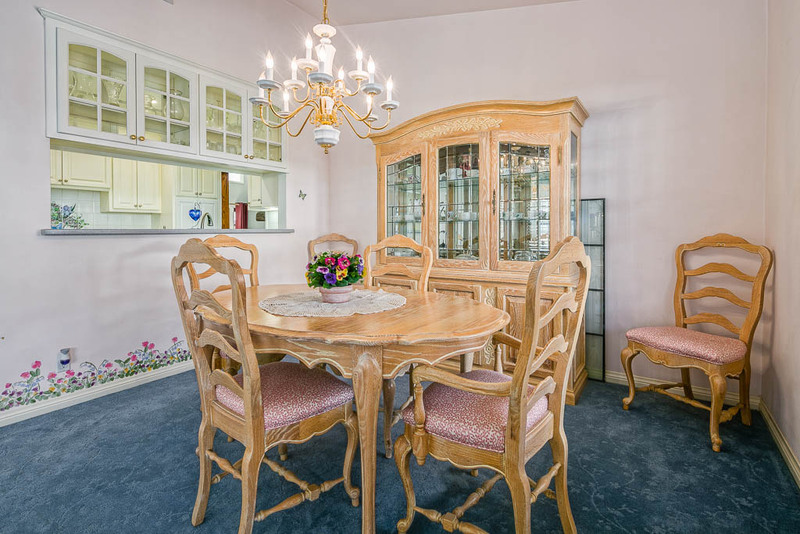 The open living room/dining room includes a soaring ceiling, oversized picture windows, recessed lights, large bronze chandelier over the dining room table and carpeting. 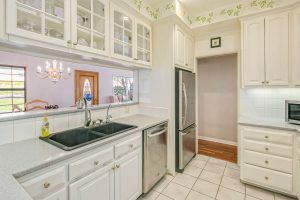 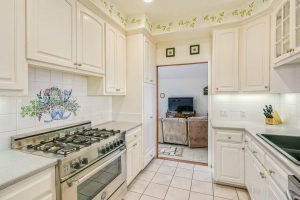 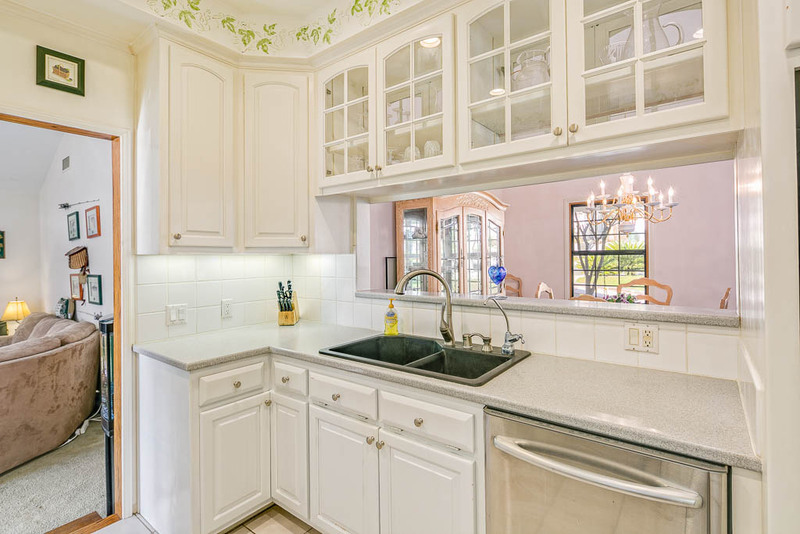 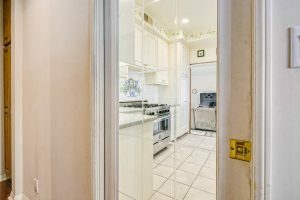 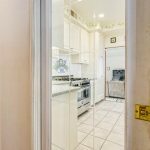 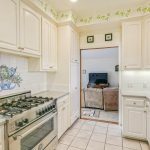 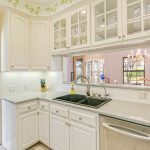 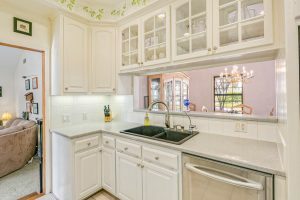 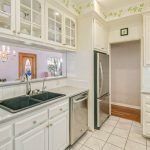 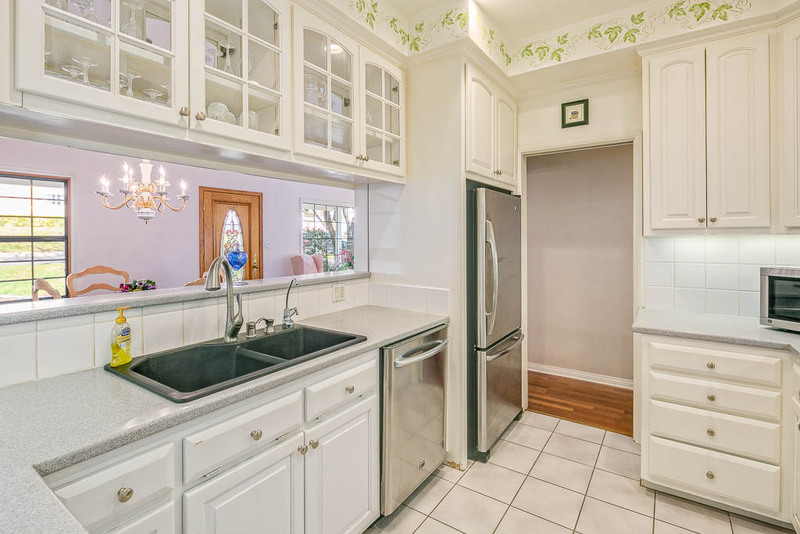 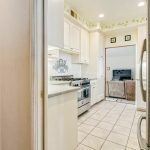 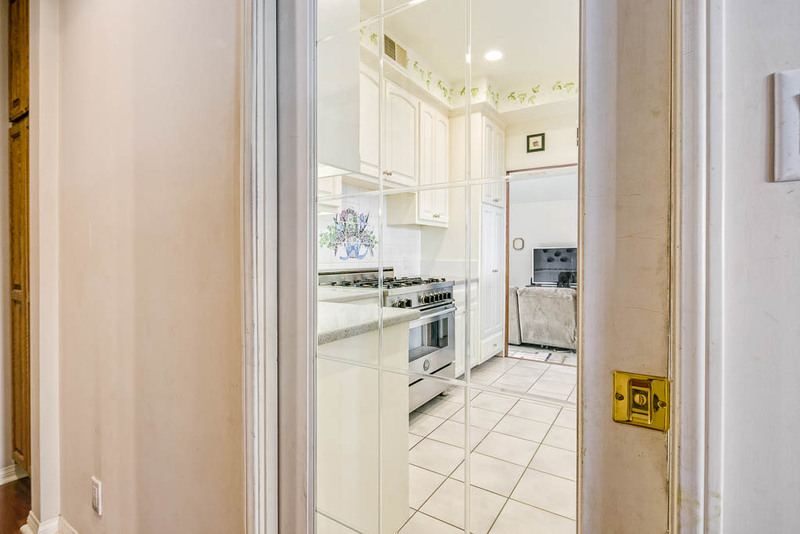 The gourmet kitchen has ceramic tile flooring, Corian counters, double sink with gooseneck faucet, Bertazzoni 5-burner restaurant quality stove, LED under lights, custom maple cabinetry, china cabinets, Maytag dishwasher, Maytag fridge both stainless steel. 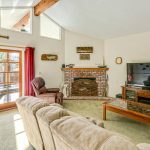 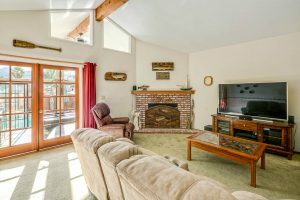 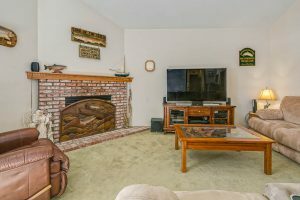 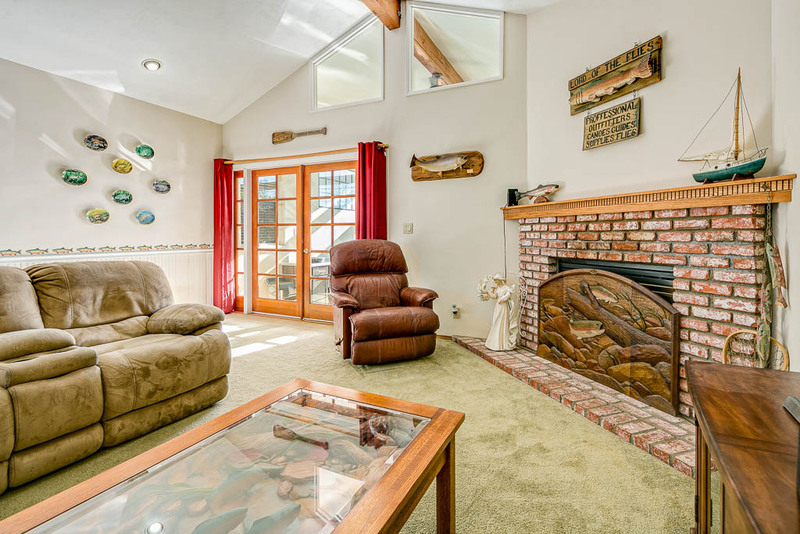 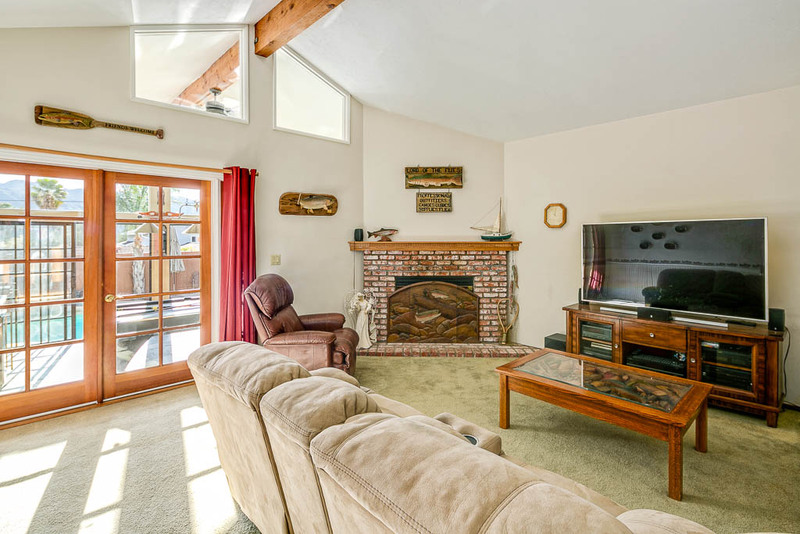 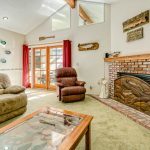 Off the kitchen is the large family room with cathedral ceiling and exposed beam and wood/gas fireplace with raised brick hearth and wood mantle. 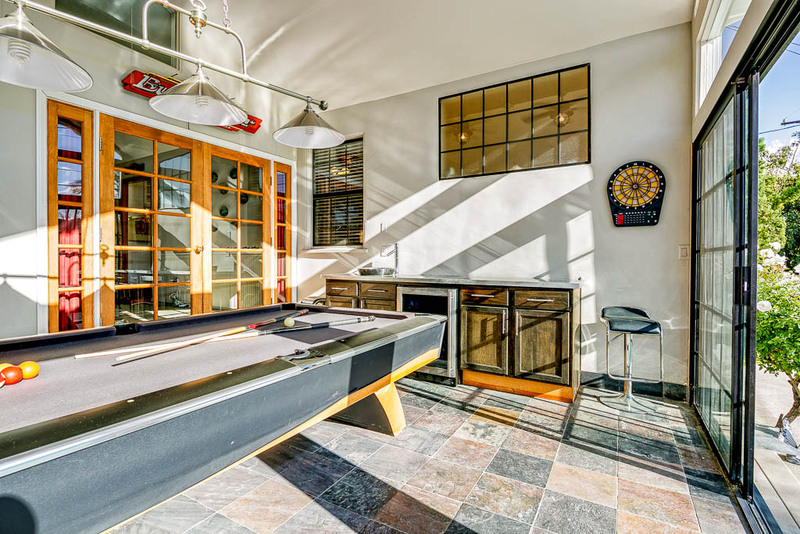 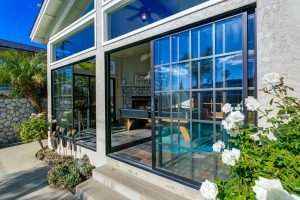 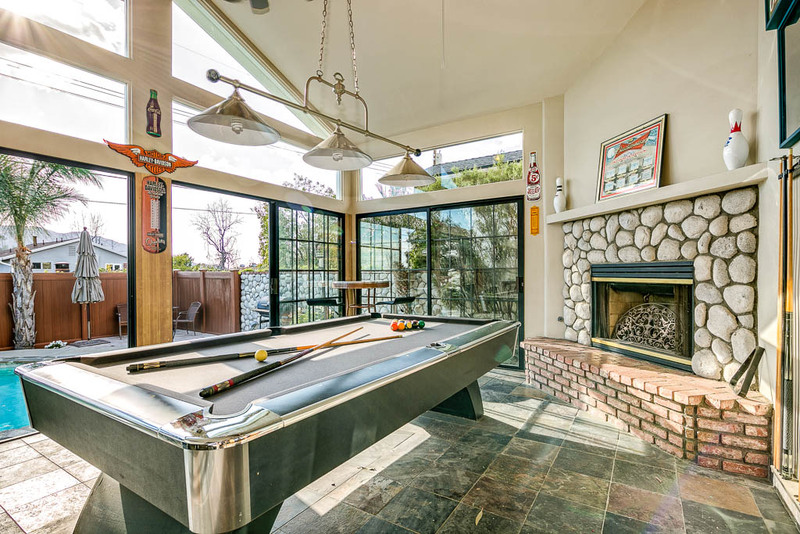 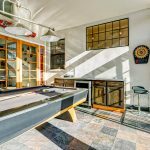 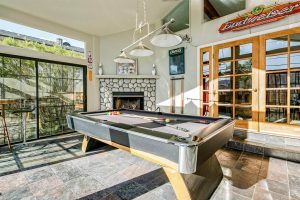 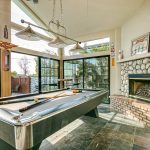 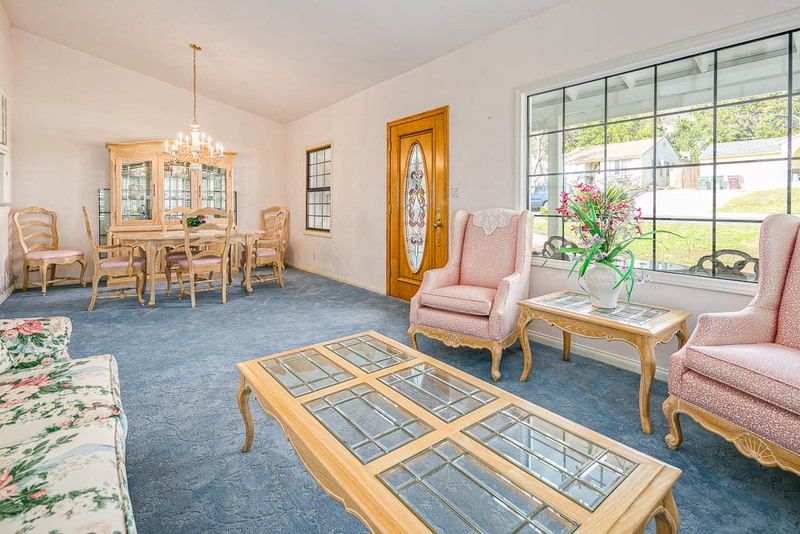 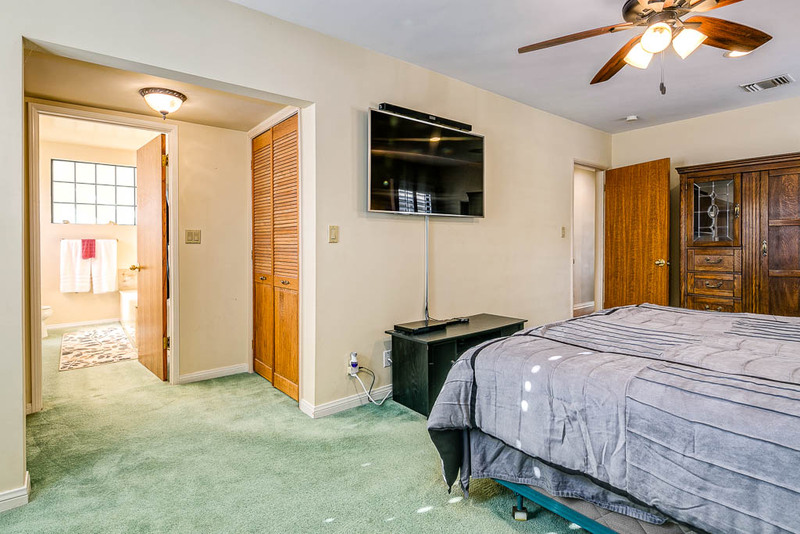 Through its French doors is the indoor/outdoor game room with plenty of windows, slate flooring, a wood/gas fireplace, ceiling fans, soaring ceiling, sliding glass doors, which when open gives you the feeling of being out in the backyard, and counter with bar sink and mini fridge. 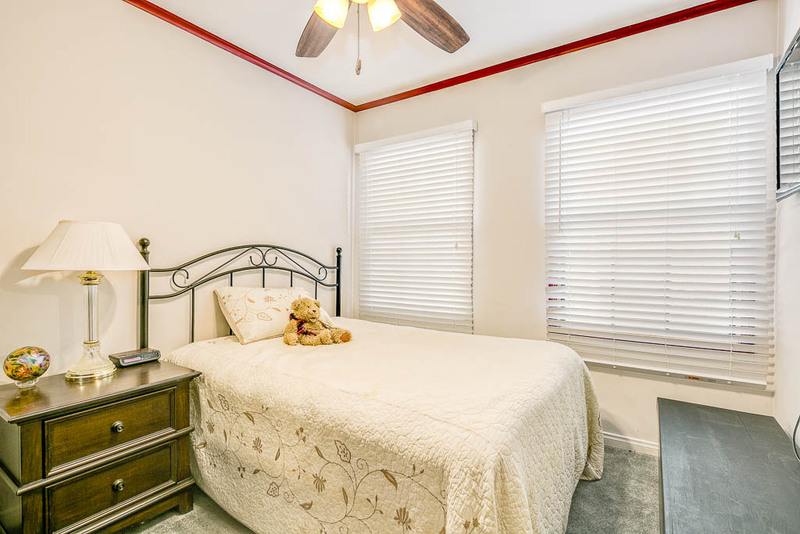 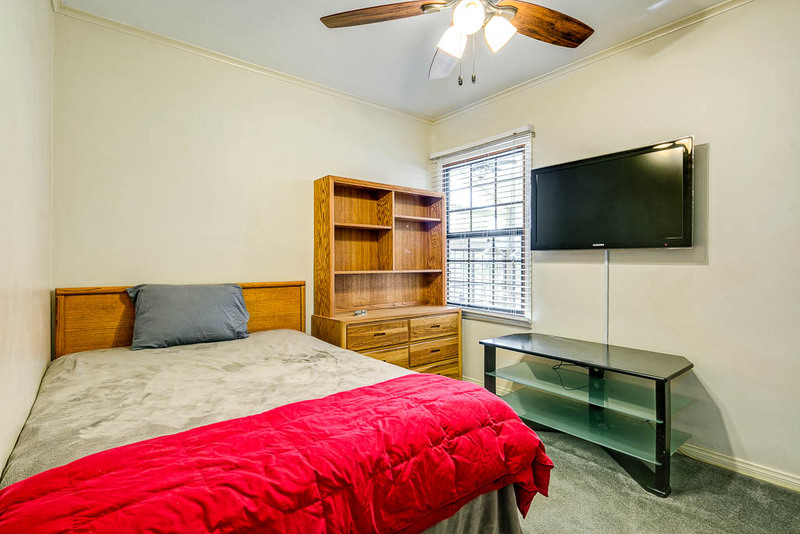 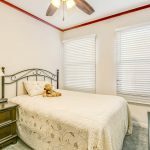 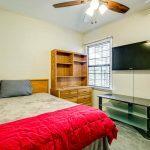 The master bedroom is secluded and spacious. 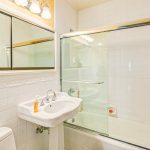 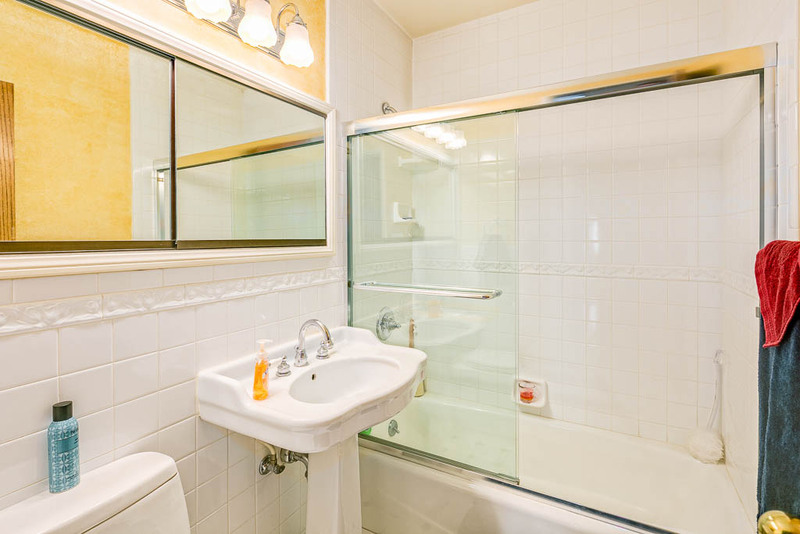 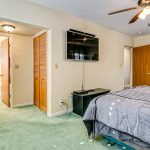 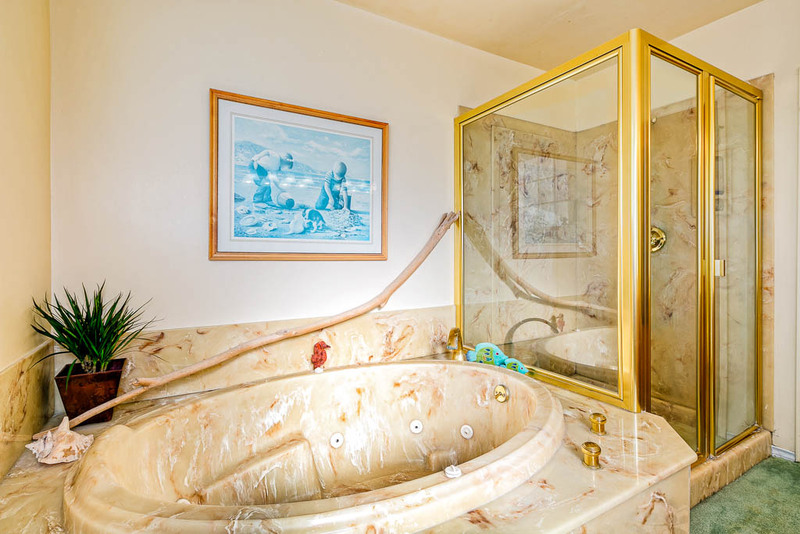 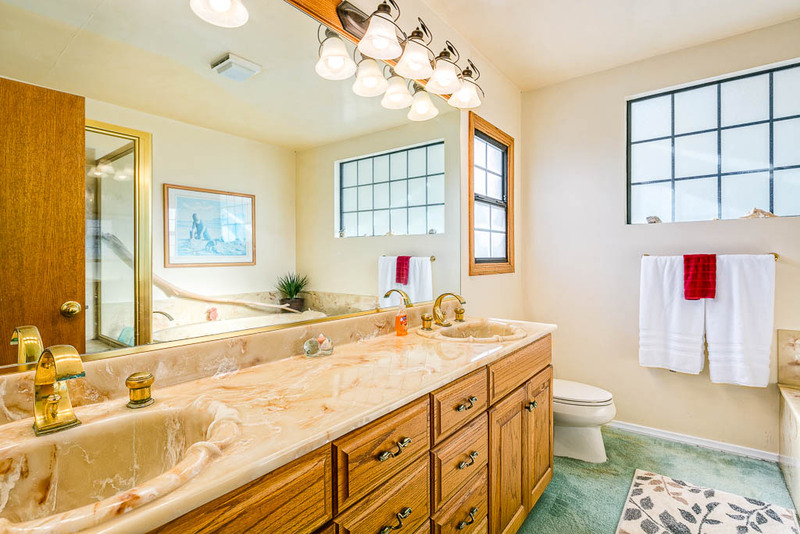 There are three closets, plenty of windows for natural light, a full bathroom with cultured onyx surfaces, a spa tub, stand alone shower with new shower head and attractive bas relief tree set in the onyx, double sinks, and Kohler toilet. 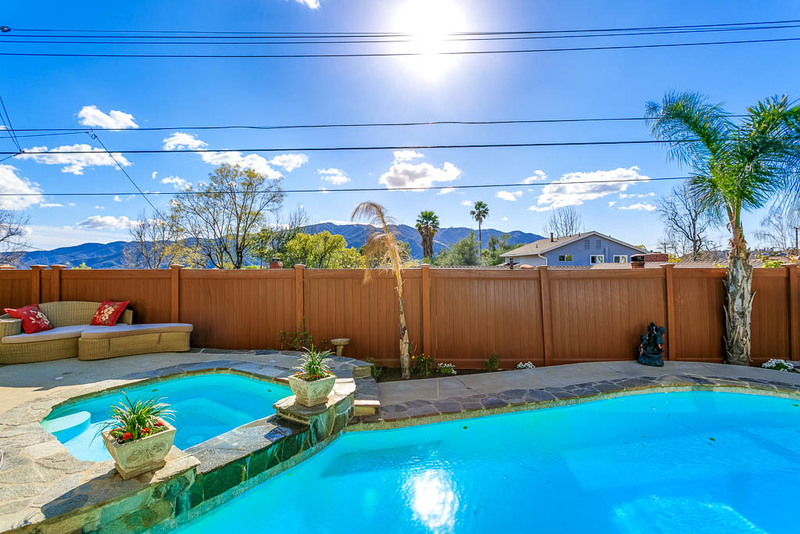 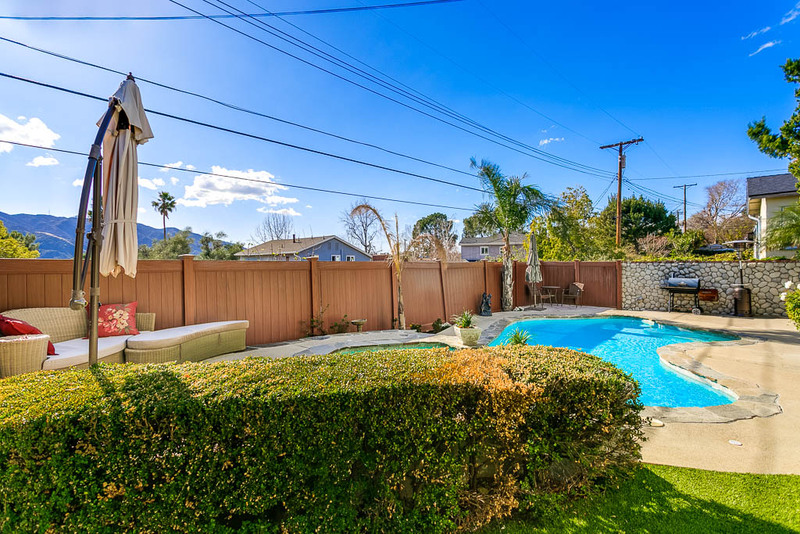 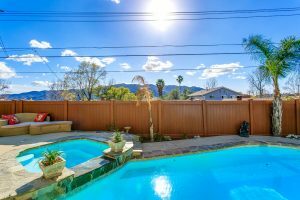 The fully fenced backyard is your sanctuary! 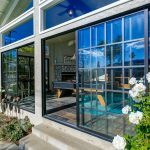 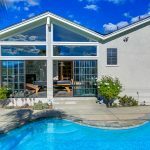 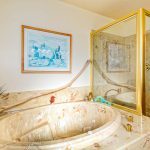 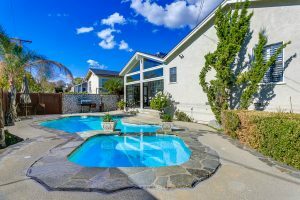 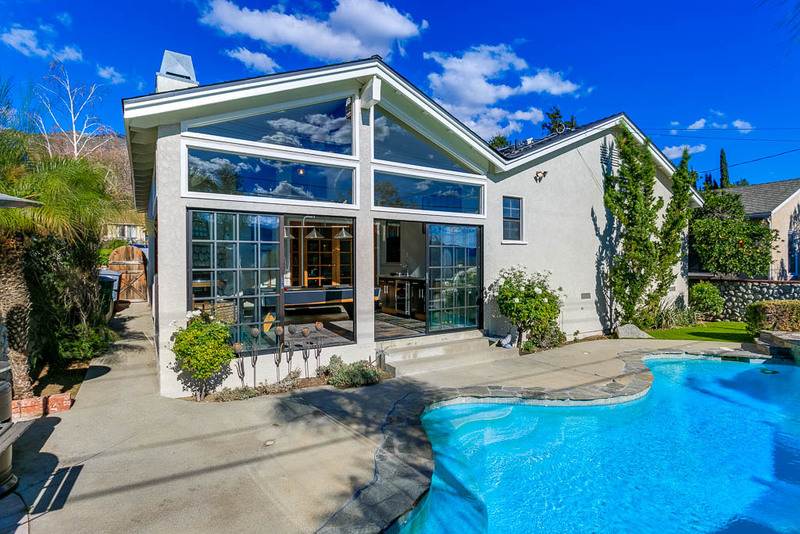 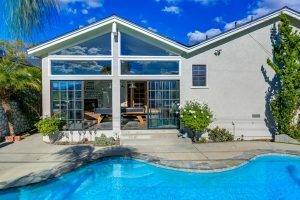 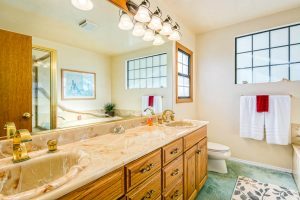 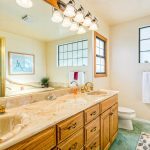 The custom in-ground pool is heated, the hot tub sits above with a gentle water fall flowing from the tub to the pool.This house includes solar panels, tankless water heater, copper plumbing, newer roof, double pane windows, plantation shutters, and water filtration system. 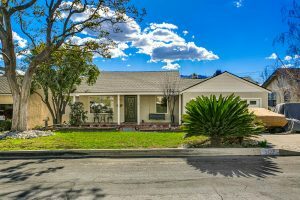 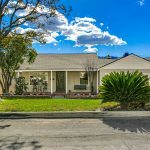 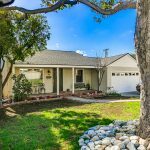 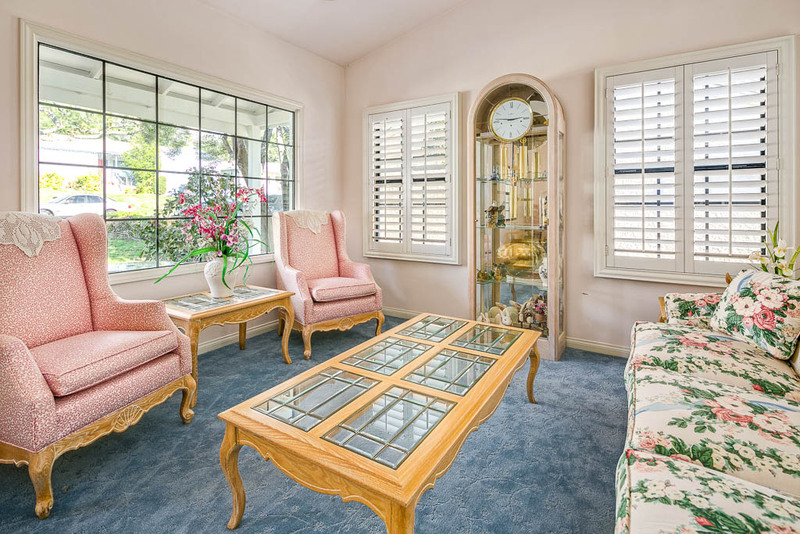 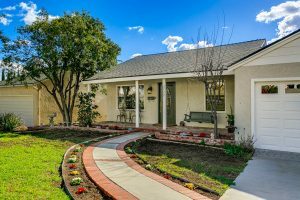 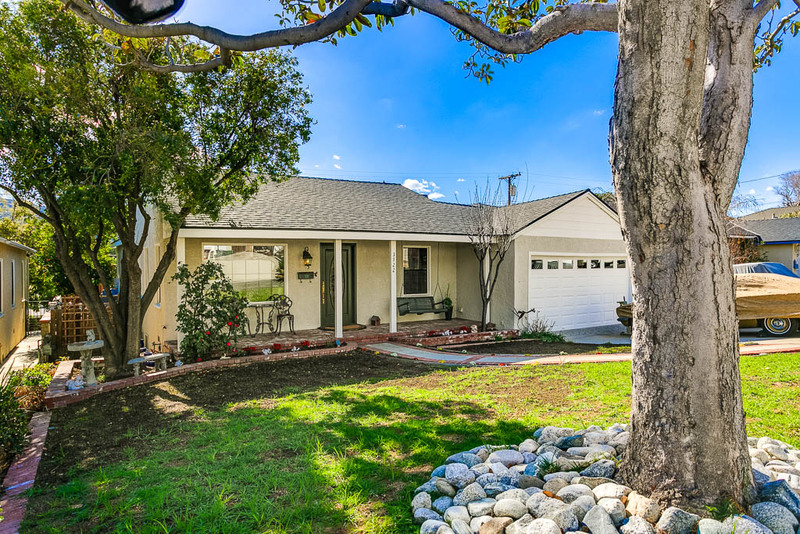 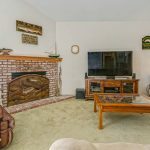 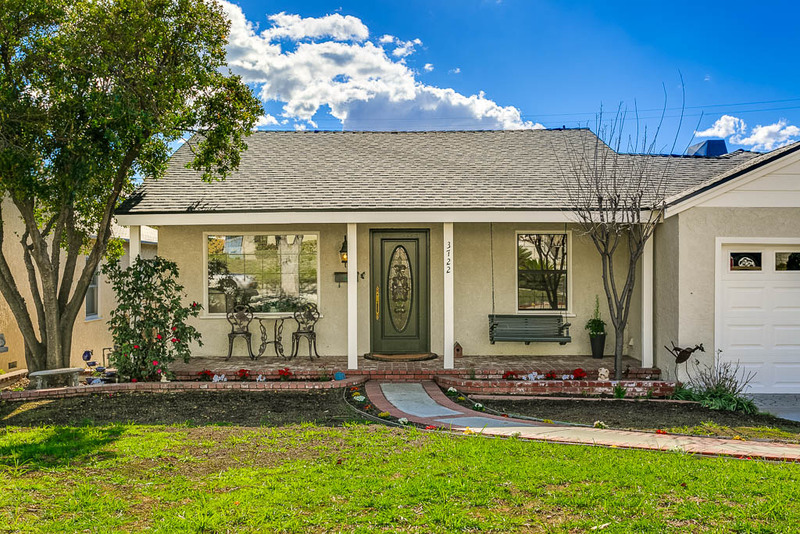 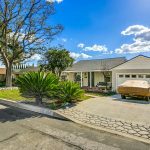 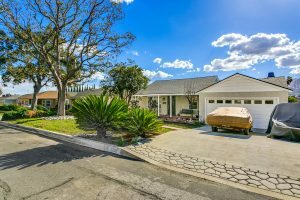 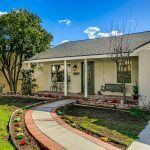 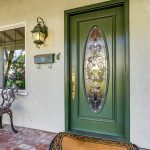 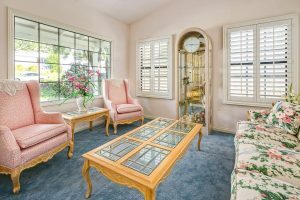 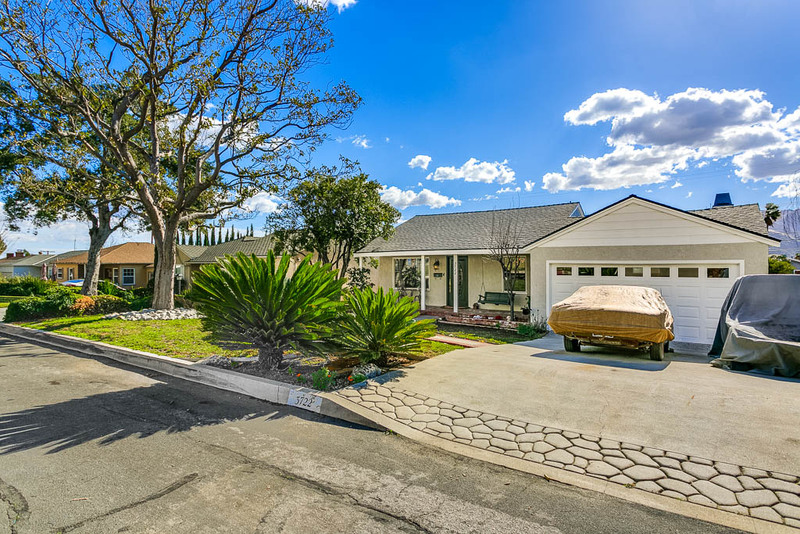 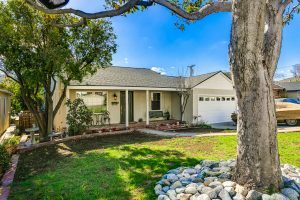 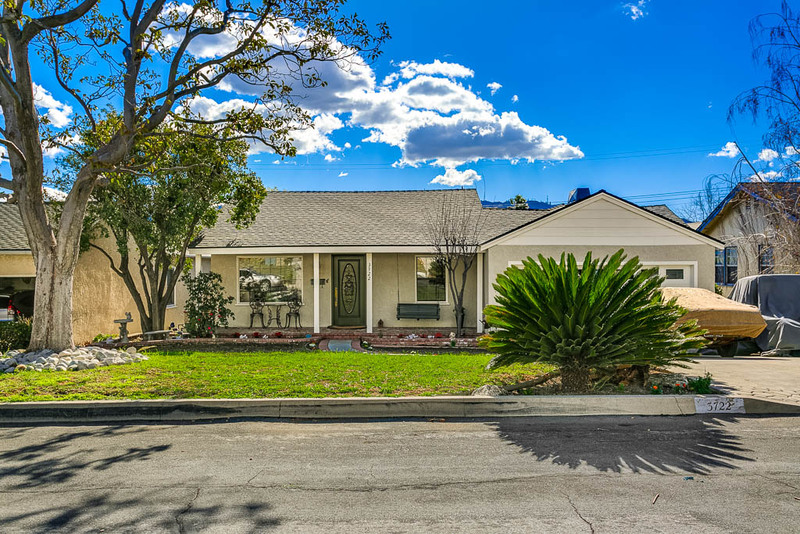 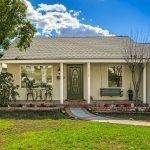 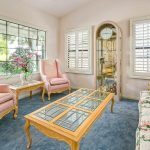 It is close to Dunsmore Elementary, freeway and Foothill retail.